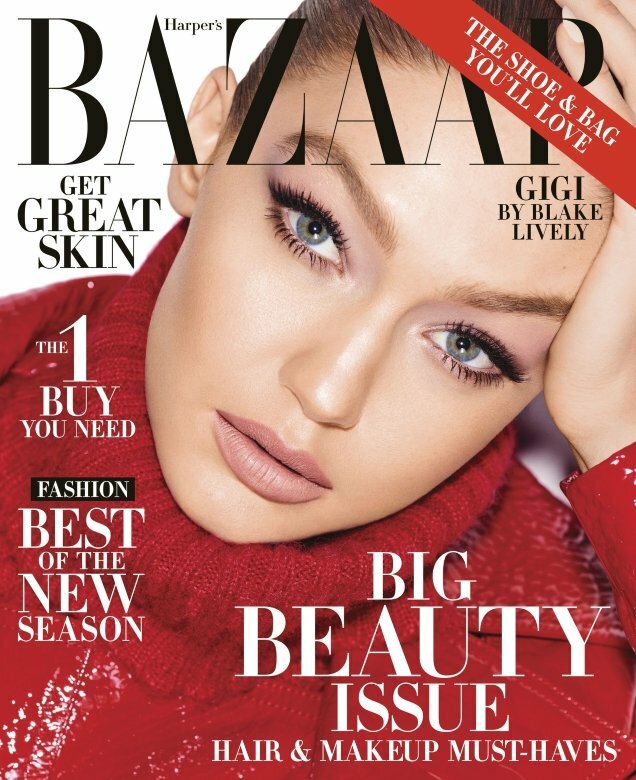 Harper’s Bazaar sure loves to recycle its cover stars and welcomes back newsstand gold Gigi Hadid for the third time, less than twelve months after the American beauty’s last. And it’s no surprise considering Gigi’s previous Bazaar appearance was the publication’s best selling issue of the year. The team hasn’t changed much this time around either, with photographer and current Glenda Bailey favorite Mariano Vivanco also making a comeback. 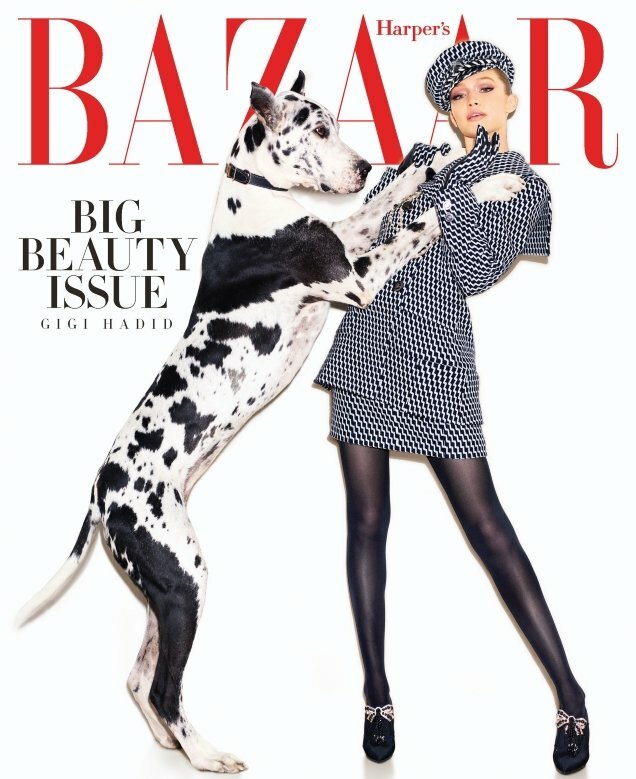 For the newsstand cover (below), Gigi serves good face, looking ravishing in red Versace, and is joined by a canine friend while wearing Chanel for the limited cover sent out to subscribers (after the jump). Most of our forum members were impressed with the covers. “I don’t expect a huge amount from US Bazaar, but the newsstand cover delivers on what I do – generic beauty and glamour,” said a perfectly content tigerrougue. “Love the whole thing, great covers and editorial,” TeeVanity wrote. “She looks gorgeous on the close-ups, exactly what I would expect from a beauty issue,” kokobombon added. ThatDudeOverTher liked what he saw from the magazine this month too. “I like the subs cover! Reminds me of the pose an old-school supermodel would do,” he pointed out. Not everyone was here for yet another Gigi Hadid cover, though. “Wow, could they Photoshop that newsstand shot any more? And what’s with the heavy styling? I dunno, it looks too garish and cheesy. But I’m shocked that Kendall and Gigi are getting all these covers! They must be selling, no way would Glenda give them repeats. She’s all about the bottom line,” mocked Benn98. Take a look at Gigi’s cover story in full and join the conversation here.